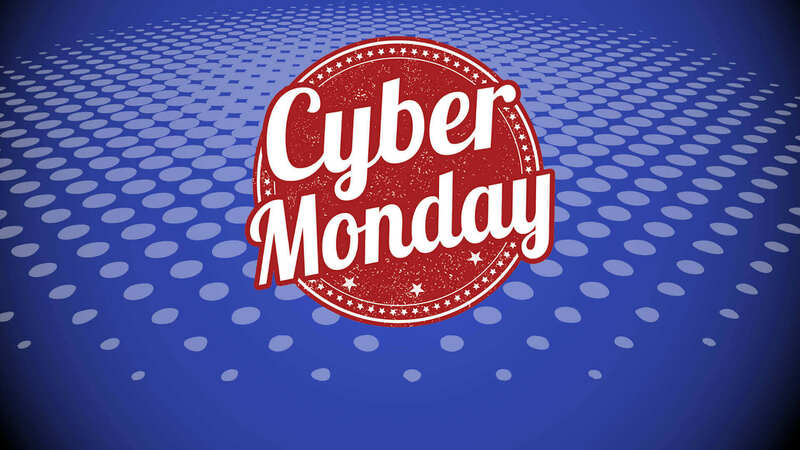 Cyber Monday is here, which means continued savings on your favorite items. As we did for Black Friday, we've put together a big list of noteworthy deals for the day divided by category, so based on your needs and wants you can browse the selection of deals for discounts on items you were looking to buy in the first place. One thing to note – some of these deals may expire before the day ends, so act fast if you are set on buying something. Updated (2.40pm ET) with more deals and removed some expired ones. Bose QuietComfort 25 Acoustic Noise Cancelling Wired Headphones (As Good as Bose QC35) for $109.99 at Amazon (list price $299.95). Samsung Galaxy S9 64GB Unlocked Smartphone + Free Echo Show or Echo Spot and Echo for $519.99 at Amazon (list price $719.99). Samsung Galaxy S9+ 64GB Unlocked Smartphone for $639.99 at Amazon (list price $839.99). WD Black 1TB High Performance NVMe PCIe M.2 2280 SSD for $189.99 at Amazon (list price $342.51). Intel NUC8i7HVK VR Machine Mini PC Kit with Radeon RX Vega M for $699.99 at Amazon (list price $910). Netgear Orbi RBK33 Whole Home Mesh WiFi System (5000 sq. ft.) for $199.99 at Amazon (list price $299.99). Samsung Galaxy Note 9 128GB Unlocked Smartphone + Free Echo Show or Echo Spot and Echo for $799.99 at Amazon (list price $999.99). Dell D3218HN 32" 1080p Ultra-wide IPS LED Monitor for $129.99 at Walmart (list price $349.99). Synology RT2600AC AC2600 2.53Gbps Wireless Dual-Band Gigabit Router for $154.99 at Amazon (list price $199.99). 75" Sceptre U750CV-U 4K UHD LED HDTV for $779.99 at Walmart (list price $1799.99). 55" Sceptre U550CV-U 4K UHD LED TV for $249.99 at Walmart (list price $399.99). 55" RCA RTRU5527-W 4K UHD HDR Roku Smart LED HDTV for $319.99 at Walmart (list price $799.99). Dell XPS 15 9570 Intel Core i7-8750H 6-Core 15.6" 1920x1080 Laptop with 16GB RAM, 512GB SSD, GTX 1050 Ti for $1399.99 at Dell (list price $1709.99). Alienware Aurora Intel Core i7-8700 6-Core Gaming Desktop with GTX 1070, 16GB RAM, 2TB HDD for $1199.99 at Dell (list price $1659.99). Segway miniLITE Smart Self Balancing Personal Transporter (Up to 10 mph, 11 mile range) for $199.99 at Amazon (list price $399.99). Segway miniPRO Smart Self Balancing Personal Transporter (Up to 10 mph, 12.5 mile range) for $335.99 at Amazon (list price $549.99).